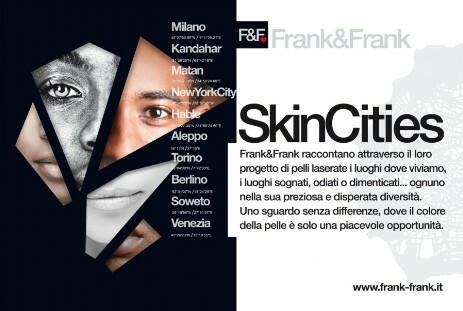 SkinCities reinterprets the rules of cartography by re-reading urban patterns; the cities’ maps tell our culture and history, as witnesses of what we are. The project wants to restore equal dignity to the places of the Earth, provocatively combining the places where we live in, as wells as those we have dreamed of, hated, or even forgotten... each of them in its precious and desperate diversity. Cultures, labyrinths and different spaces where the “skin colour” on which they are laser cut becomes just a pleasant opportunity. The leather used has very different origins, sometimes chosen for some “imperfections”, thus enhancing the beauty of diversity, respecting the life they have been, just like the places they represent. 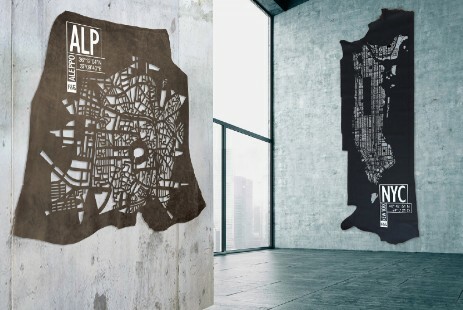 Engraved with laser technologies and manually initialed with the land coordinates.